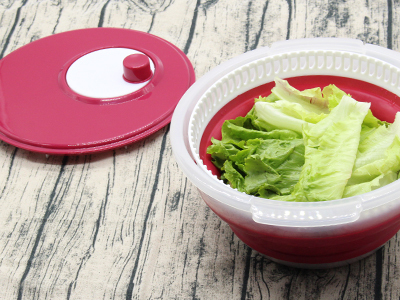 Collapsible salad spinner-Space saving collapsible salad spinner; collapses to half its size for compact storage, expands to full size for use. Highly efficient basket drains water easily, doubles as a colander.Low profile lid for easy storage when collapsed. 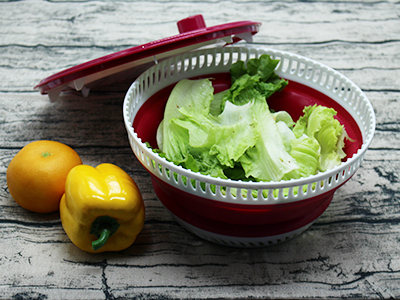 Best salad spinner for fruits, vegetables, berries, peppers, pasta, leafy greens, and more! 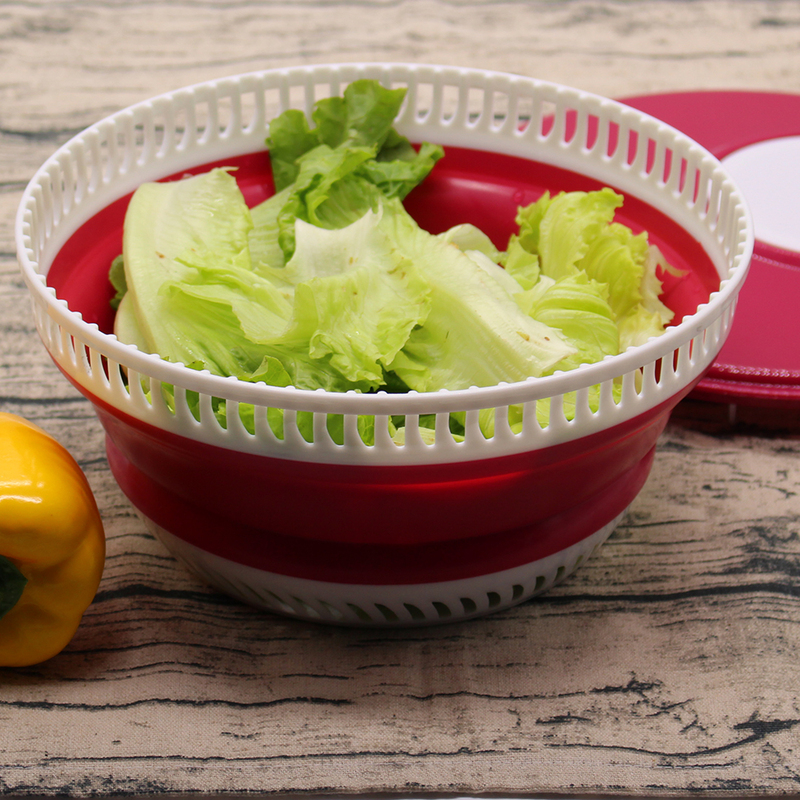 Collapsible salad spinner-outer bowl used for serving salad; comfortable handle spins basket; folds for flat storage.Perfect for fruits, vegetables, berries, peppers, pasta, leafy greens, and more.This salad spinner allows you to easily wash and spin-dry your salad ingredients so that they're ready to serve. 1.Wash, spin and dry salad greens, fruit, and vegetables by hand. 2.Easy-to-use design means making salad is a breeze. 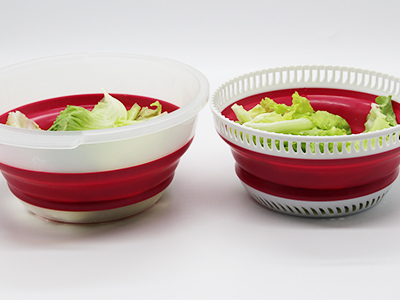 3.Also can be used as serving bowl or storage container. The non-skid base of this salad mixer can easily double as a serving bowl. Wash, spin and dry salad greens, fruit, and vegetables by hand. Easy-to-use design means making salad is a breeze. 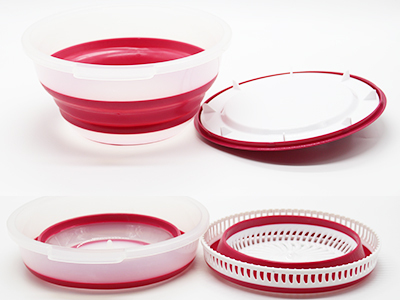 Clear base doubles as serving bowl or storage container. It's the quickest way for you to replace calorie-loaded meals with numerous healthy veggie alternatives, thereby saving you valuable time, money and improving your health all the while.It is a fast, easy way to turn veggies into delicious healthy salad. WARNINGAND CAUTION:1.Do not use in oven or microwave.